When it comes to leaking cracks, Spetec PUR F400 is an excellent solution. This product is free of solvents and phthalates, which is much safer for our contractors to use. It's also NSF/ANSI 61 approved for use with potable drinking water. 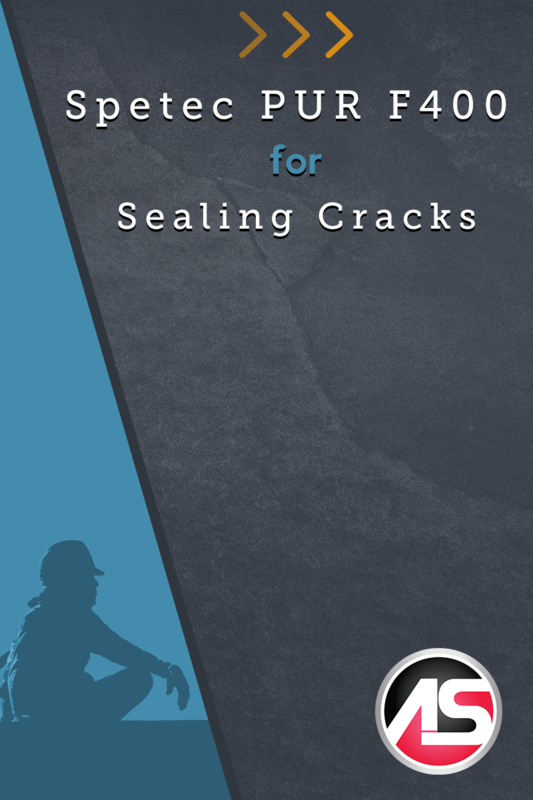 This allows contractors to fix leaking wall or floor cracks at water treatment plants. Spetec PUR F400 is also safe for use around water containing fish and other wildlife. Spetec PUR F400 is designed to shut down leaks in concrete, brickwork, concrete sewers pipes and precast concrete. This product works very well with leaking hairline cracks due to its low viscosity. Spetec PUR F400 is very flexible after it sets up, which allows it to retain its bond if the concrete shifts or moves due to freeze/thaw cycles. When the concrete shifts, the grout continues to bridge the crack.